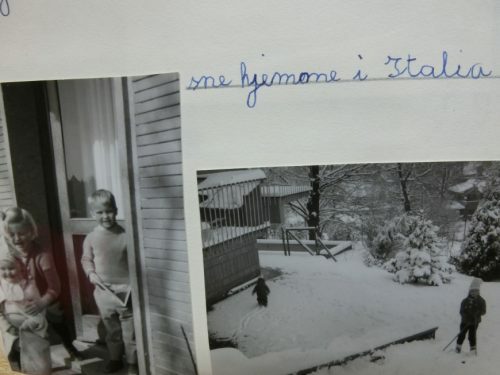 I was 7 and a half and was at school in Rome. Mum and Dad had said they would come and pick us up at noon. 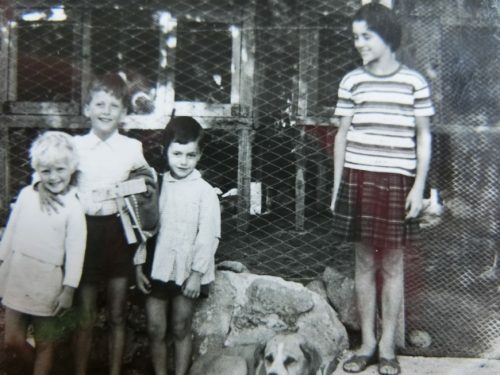 Mum and Dad, my little brother, my little sister, the cat and the dogs would come to get us by car and the car would be full of things. My other brother and I would have to be ready, because, Mum said, we were going to move to Paris. I felt something very special was going to happen but I was not afraid, because Mum looked happy. I thought it would be like a long holiday, because Dad was coming, and also the dogs and even the cat…We had already moved three times in Rome but it was never that far, because I had often been back to visit my friends near our first house, and we were passing in front of our second house every time we were visiting my grand-parents on the hills outside the city. 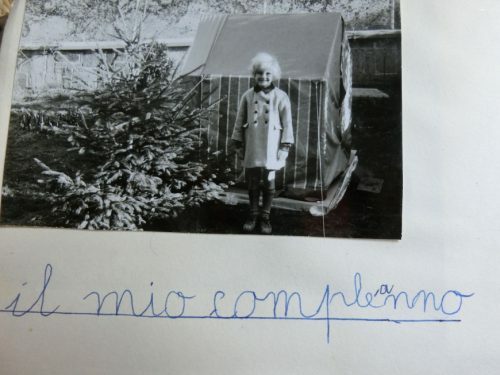 My own little house was a tent with a door and a window. It was sometimes my dolls’ house and sometimes different places where I was acting different people, depending on whom I was playing with. Mum had told me I would bring it and I was hoping that the new garden would have very few trees, because I was afraid of trees. I also hoped my new friends would not be living too far from the school, as my friends were now. I loved playing with them and I loved my teacher at school. She was always kind and smiling, and had kept a Carnival cake for me when I had been sick on that day. She was always wearing a grey tunic, and a grey and white veil around her head like the other Sisters. She was teaching me to read and to write. I also loved the classroom I was in, and the Sienna colored building where my classroom was. Every day, I could go straight out to the courtyard and play with Massimo, Veronica, Maria and Antonio and all the other children. Massimo was often kissing me on the cheek and holding my hand and I did the same with him. My elder brother was in another building, and my younger brother was in another one. 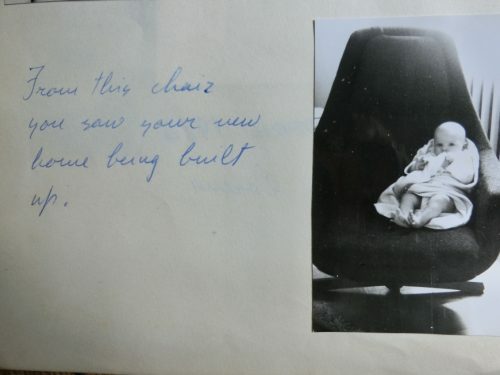 We could often hear the little one cry because he was so loud. When I was going to check if he was ok, looking through the fence, his teacher sometimes saw me and nodded, putting her finger on her mouth, smiling to reassure me. 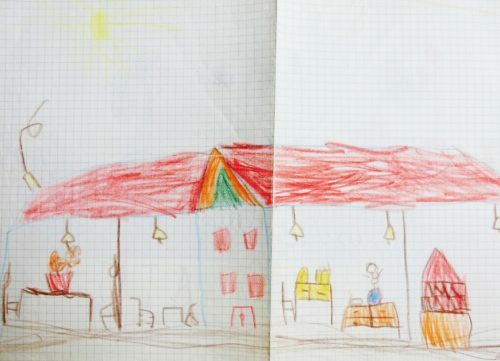 I was in primary school and could read and write Italian and loved books with a lot of drawings and colors. On that day, Mum had told me to be ready at noon. My teacher knew it and she had told the class that I was going to ‘Parigi’. She also said that I would soon come back to see everybody again and that I should have to write many letters to them. She was helping me to take my apron off when the clock rang, kissed me and said they would all pray for us. I touched her grey veil and tried as always to catch a glimpse of her hair hidden behind. The corridors and the courtyard filled up with children. It was lunchtime. My brother was already at the gate, surrounded by a huge crowd of friends. 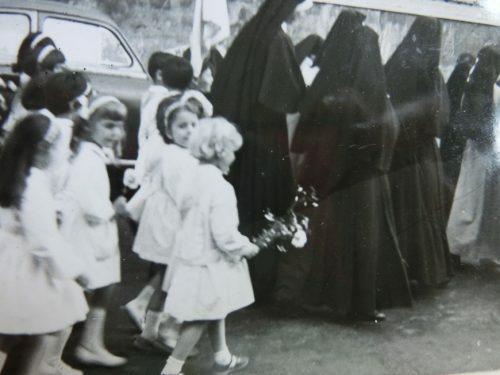 When the car arrived outside the school, the grey and white clad Sisters shouted ‘Sono arrivati !’- they’re here!. All the children around me looked at me and shouted the same, then followed my brother and I to the car. 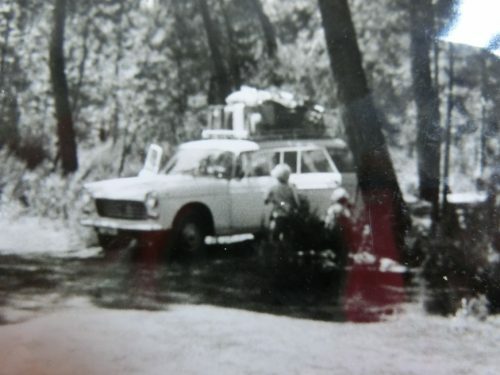 The car was packed with things from our house, my little sister was in Mum’s arms, Dad was putting an extra rope around the luggage on the roof and our brother was in the back between the dog and the cat. – It is for you. You will need it where you go. Her eyes were dark and her voice was sad. I kissed her on the cheek, held tight to the coin, answered her sadness and never forgot her words. We left Rome, waving goodbye to all the children and the Sisters standing at the gate of the school. My brother and I (on the left), two Italian friends on the right, at my grandparents’ house near Rome. Born in Stockholm, Bix grew up in Rome in a Norwegian, British and Italian family, speaking 3 languages. At the age of 7, her family moved to Paris, where she completed her secondary studies in French schools and also learned to play the classical flute. While studying at university and management school in Oslo she also started to paint and to do theatre. She was a trainee for 6 months in NYC at the New Dramatists’ studio. She then studied art in Oslo and at the Fine Arts Academy of Budapest. In 1990 she won a prize in an art competition in Austria, giving her the opportunity to come to Japan. In Kyoto, she studied Japanese calligraphy and worked with performance art between 1995 and 1999, with philosopher Michael Lazarin and musician Mamoru Katagiri (Marki) and played music for dance companies in the Kansai area from 1997 to 1999. She moved to Brussels in 1999 continuing to paint, to exhibit works and to give concerts. 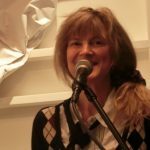 As well as learning to play jazz at the Music Academy of Brussels, she played in the Bix Medard electropop group and founded the Brussels Language Activities, school of language and culture. She received a Master’s degree in Sciences du Langage at the University of Franche-Comté in Besançon, in 2008. After moving back to Tokyo in 2010 she started Bix&Marki, a musical duo of original French songs. Bix is a painter, a singer, a musician and a linguist. She sings, plays the flute and writes the lyrics of all the Bix&Marki songs. While working on her music and painting, Bix teaches French at universities, specializing in role-play and language through art and personal expression.